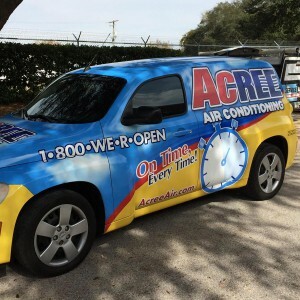 Acree Air Conditioning is a full-service HVAC and plumbing contractor dedicated to providing exceptional home comfort services to homeowners in the Tampa Bay area. Acree’s trusted technicians are trained to do more than any other technician. We perform regularly scheduled service checks, repair damaged or worn equipment, and can install all new equipment when it’s time to upgrade or replace your existing system. Beyond that, we’ll help find ways to improve your existing systems to maximize energy and water savings with a full cost-benefit analysis. Our extensive training program and years of experience includes all current brands and models too. We use state-of-the-art technology for diagnosis and repair on every service we perform. Our technicians want to make sure your HVAC and plumbing systems last for a long time, so we use the most reliable and energy-efficient equipment available for installations and replacement. Every service is priced in advance, so you know exactly how much the repair will cost, regardless of the time it will take to fix, thanks to our patented Straight Forward Pricing Guide™. You can count on Acree Air Conditioning to do the job right. We service and repair all brands of HVAC equipment and plumbing systems. We serve Tampa and the surrounding counties – Hillsborough, Pinellas, Polk, Pasco and Northern Manatee. We believe that an HVAC and plumbing company should be able to fit into your schedule, not the other way around. Call us 7 a.m. to 11 p.m. any day of the week and you will be greeted by a live person who can schedule one of our expert technicians. Get service on your schedule, weekend or holiday, with no overtime charges, from Acree Air Conditioning. Call today to get the best rate for the highest quality service anywhere around Tampa Bay. For the best HVAC technicians and plumbers in the Tampa Bay area, call Acree Air Conditioning at 1-800-937-6736!